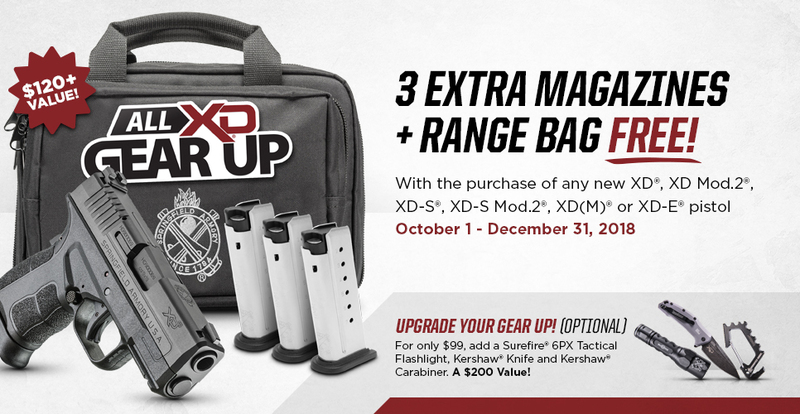 Our Product Spotlight this week shines on the Springfield Armory XD(M) in 40 S&W. This pistol features a 3.8” match grade barrel with a full sized frame. This means you’ll get the handling and capacity you’d expect from a standard sized pistol, but with a shorter slide for easier carry.The slide has both front and rear cocking serrations. It is topped off with a front fiber optic sight and rear low profile combat sight. The Mega-lock textured grip will keep the pistol securely in your grasp and can be tailored to the shooter with three interchangeable backstraps. This XD(M) has a 16+1 capacity and ships with two magazines.